Today, Friday, July 12th, 2013, Boston Police Officers from the Academy Class 52-13 completed the traditional Academy Class Run. The Boston Police Academy Staff met with and welcomed Class 52-13 upon their arrival at the Boston Police Memorial adjacent to Boston Police Headquarters. 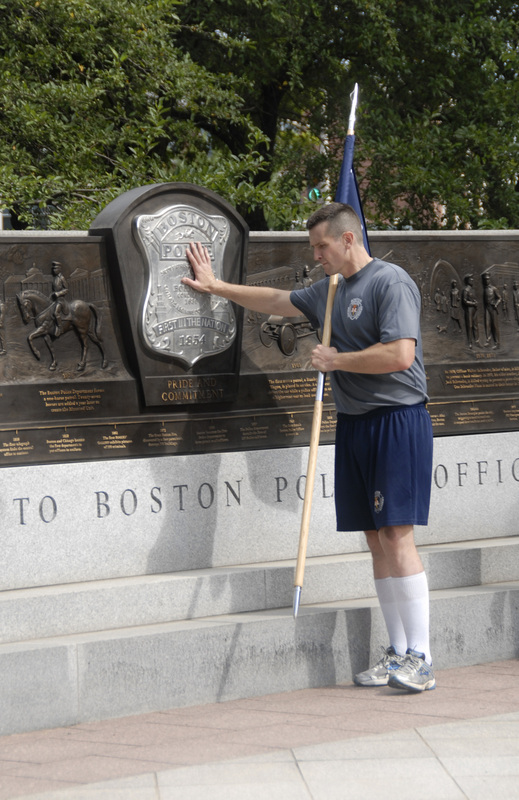 After the approximate nine mile run, each officer approached the memorial and – out of respect to all those who made the ultimate sacrifice while protecting and serving our city – respectfully touched the Boston Police Badge which is prominently featured on the memorial. The officers graduated on Tuesday, July 9th, 2013 at the IBEW 256 Freeport Street in Dorchester.